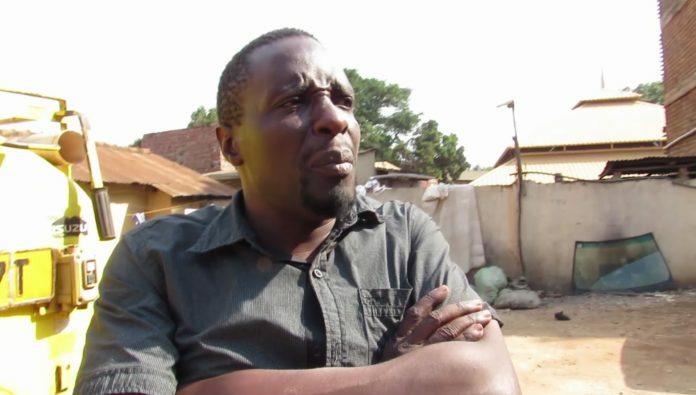 Popular comedian, radio and part timer singer Amooti Omubalanguzi surprised Ugandans when he begged Uganda Wild Authority (UWA) also known as Entebbe zoo to appoint and declare fellow comedian Kapere in Uganda news as the new heir and successor of Zakayo, a 54-year-old chimpanzee who passed on last month due to stomach failure as reported in Uganda news. 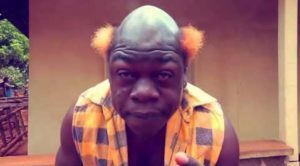 While talking to Simba Fm’s Micheal Kakande Kapalaga last Saturday during his wolokoso morning, the Amarula’s founder and lead act Amooti Omubalanguzi said that Kapere is the true definition of a chimpanzee and probably Zakayo was his biological father. Through a phone interview, Amooti claims that least UWA should give Kapere an opportunity and go at the zoo three times in a week and be kept in cage where zakayo has been staying and being paid at the end of the month. Instead of kapere keeps begging for money for rent, school fees for his children and other family requirements from people all over Kampala and local TV and radio stations. Flash Uganda Media efforts to reach Kapere once an employee for Amooti failed since his known contact was unreachable. 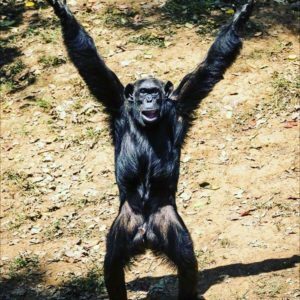 Zakayo, a popular chimpanzee and one of major tourist in Uganda passed on late last month. Zakayo who turned 54 last year succumbed to infections in the stomach. On June 1964, Zakayo who was aged one year by then by rescued from Bundibugyo by a white man who took care of the little chimpanzee for 14 years. But he later on surrendered and handed it to UWEC in 1976 making Zakayo the strongest male chimpanzee then. In 2011, Zakayo handed over power to Matooke another strong living Chimpanzee. Matooke was however overthrown by a younger chimpanzee called Aluma, who is currently the leader of Chimpanzees in the country. READ Fik Fameica Collaborates With Mr.Eazi In A New Song “MAFIA”.